The Magnuson-Moss Warranty Act of 1975 is a corner stone of lemon law rights in the United States. When manufacturers fail to stand behind their products, consumers rely on the Magnuson-Mass Warranty Act for the legal tools needed for swift and fair compensation. Why was the Magnuson-Moss Warranty Act Created? The Magnuson-Moss Warranty Act of 1975 arose in response to widespread misuse of express warranties and disclaimers by merchants in the 1970s. The Act’s purpose is to make warranties on consumer products, including cars, use plain language more readily understood by customers. The Act also makes warranties enforceable by the Federal Trade Commission, giving the FTC the means to better protect consumers. How does the Magnuson-Moss Warranty Act help people? The Act requires consumer products manufacturers and sellers to give customers detailed warranty coverage information. It also lays out in plain language consumers’ rights and the duties of anyone offering product warranties. The Act’s intent was to ensure consumers could get clear and complete warranty information up front before purchase, allowing them the freedom to shop for warranty coverage and make informed financial decisions. Congress also sought to promote competition based on warranty coverage. The Act also specifically prohibits businesses who provide written warranties on products from disclaiming or modifying implied warranties, meaning no matter how broad or narrow the written warranty is, customers are always entitled to the basic protection of the “implied warranty of merchantability;” that a good sold will do what it is supposed to do. For example, if you buy a car, that car is supposed to move around safely, like a car should. Companies must, under the strictures of the Act, designate any warranties they offer as either “full” or “limited” and specify exactly what the warranty covers in a single, clear, and easy-to-read document. Businesses must also ensure the warranties are available where the covered products are sold so customers can read them before buying. How does the Magnuson-Moss Warranty Act differ from state lemon laws? The Magnuson-Moss Warranty Act is a federal law, and therefore applies across the United States of America. Lemon laws differ across the United States in the extent to which they protect consumers, but Magnuson-Moss is universal across the nation. 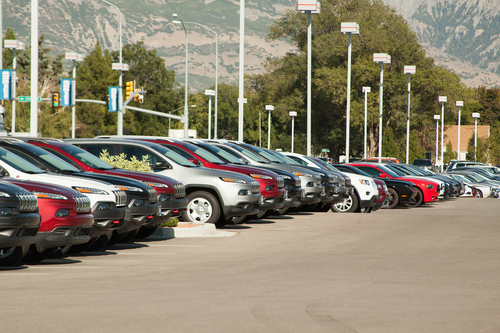 The Magnuson-Moss Warranty Act also forces manufacturers to pay the claimant’s attorney’s fees if the claimant prevails against the manufacturer. State lemon laws vary across the country as to whether or not a successful claimant can recover their attorney’s fees from the manufacturer.